We watch the Final episodes and season finale of Season 1 of The Sopranos. I’m joined by Big daddy Matt, Craig and maybe a few other guest to get silly and talk through this fun conclusion to the season. 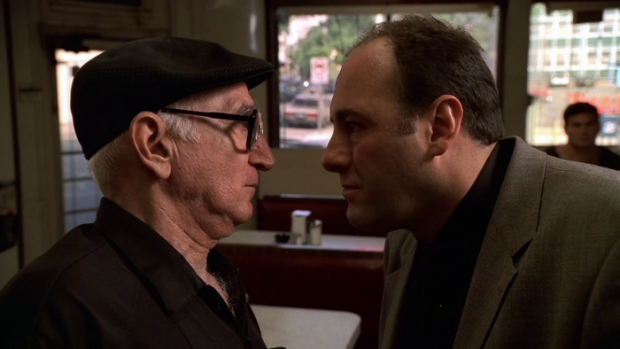 A tip from Vin Makazian leads Tony to make a tough decision regarding one of his most trusted friends. Tony has Paulie Walnuts keep an eye on things. Junior, Mikey and Chucky Signore, after conferring with Livia, conspire together to consolidate power. Junior agrees with Tony on the situation with Jimmy Altieri. Tony finds out about his mother and uncle’s plot. He warns Dr. Melfi that her life may be in danger. Christopher, Paulie, and Silvio Dante take care of family business. Tony’s friend Artie Bucco re-opens his restaurant.